Installing PV arrays on the roofs is more time consuming, complicated and expensive than directly installing the roof tiles that can harvest solar energy. 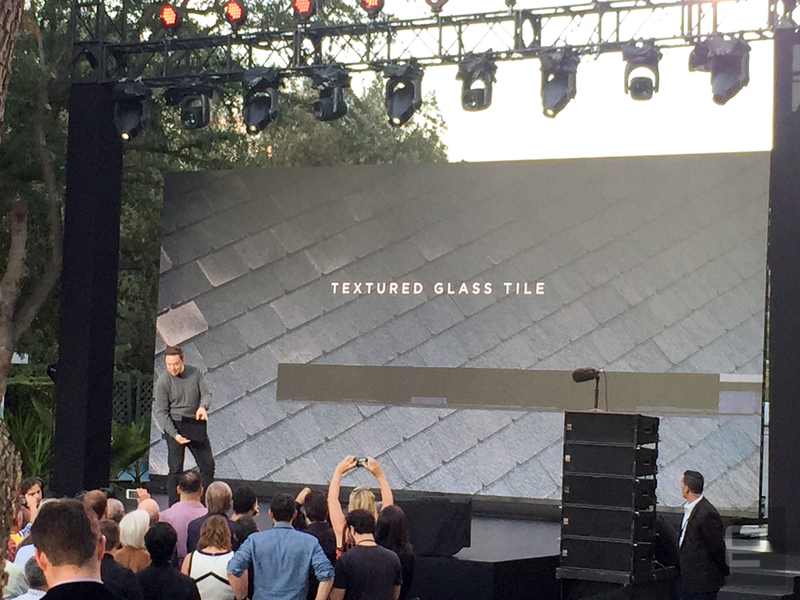 Now, Tesla unveils the fantastic innovation in roof-top solar technique, introducing the roofing tile that works as a solar panel. At Universal Studios in Los Angeles Tesla CEO Elon Musk showed off the company's solar roof-top panels, new $5,500 Powerwall 2 high-capacity residential battery pack and Powerpack 2 for businesses. Musk told hundreds of guests gathered in an outside courtyard on the "Desperate Housewives" set that Tesla and SolarCity Corp., the company that he chairs and which he aims to acquire, will make solar roofs that look better than normal roofs. "The goal is... to have solar roofs that look better than a normal roof, generate electricity, last longer, have better insulation and actually have an installed cost that is less than a normal roof plus the cost of electricity," Musk said. Solar roof tiles are manufactured with durable, long lasting tempered-glass in four styles - Textured Glass Tile, Slate Glass Tile, Tuscan Glass Tile, and Smooth Glass Tile - that complement and power your home. To avail the electricity at night when sun goes down, Tesla also unveiled the new version of Powerwall battery. The company said the two 14 kWh lithium-ion battery packs inside each pack (over double the capacity of the previous version) will power a four bedroom house with lights, refrigerator and other appliances for an entire day.